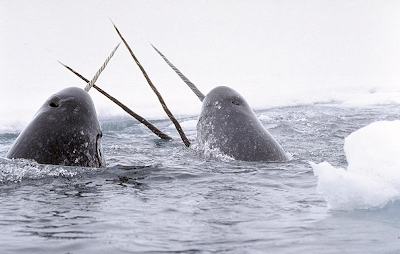 I have to admit, I did not know that Narwhals existed. I thought it was some sort of cryptozoology David Pescovitz sort of thing. The horned whale dives to 4500 feet! The narwhal takes no guff! Anne Marie points us to this outrageous narwahl dressing table by Tiffany & Co.
More Maymont. More on the dressing table. Thanks, Anne Marie!